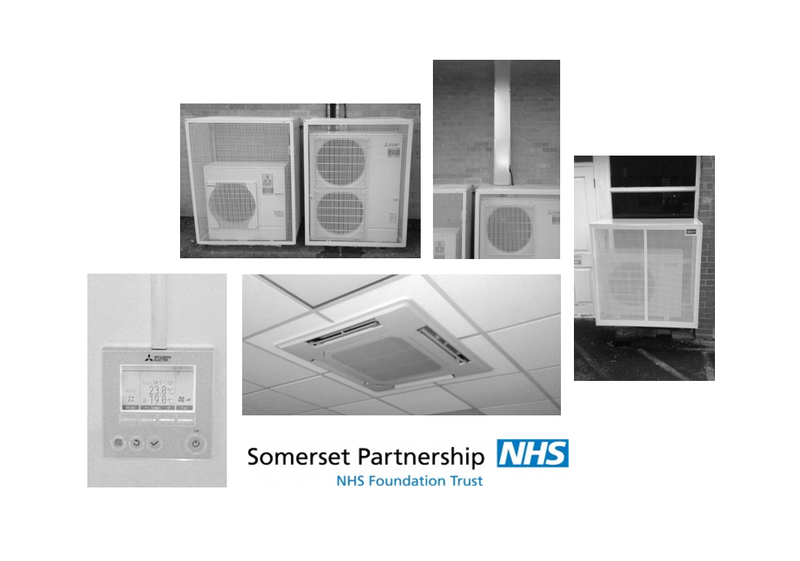 We recently completed a number of minor air conditioning installations at various Somerset Partnerships locations.Most of the installations were challenging due to the fact that they were taking place in active healthcare environments. To ensure the safety of staff, patients and members of the public we implemented various control measures including ‘out of hours working’, strict control of work areas & storage of materials and equipment.We pride ourselves on adapting to each clients requirements ensuring that the works do not impact on the site activities.We pride ourselves on adapting to each clients requirements ensuring that the works do not impact on the site activities. Supply and installation of multiple Mitsubishi Electric split air conditioning systems.